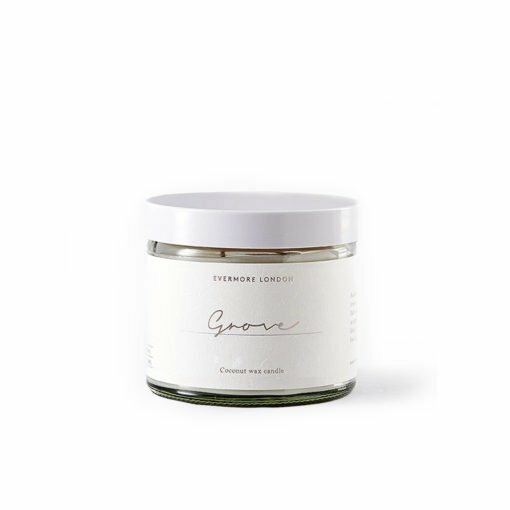 Crafted with care and honesty in their East London workshop, each Evermore candle is hand-poured using coconut wax and a blend of organic essential oils and phthalate-free fragrances, plus cotton core wicks for a clean burn and a long-lasting scent throw.Evermore's scents are inspired by nature and the botanical world. Discover the latest Evermore news and product launches on the Osmology blog. Crafted by founder, Sarah Deane, each candle is hand-poured using a Soil Association certified coconut and vegetable wax. A blend of organic essential oils and toxin-free fragrances are used to create scents that evoke a sense of place and time. Everything about Evermore is beautifully balanced, from the delicate tones of the packaging to the delightful scent notes. Evermore's our go to brand when we are looking to create space in our lives for yoga or meditation.